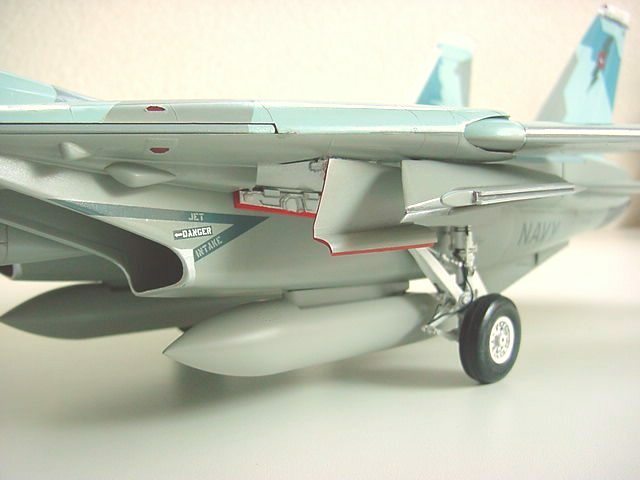 Everyone by now knows the Tamiya 1/32 Tomcat.............and we all know there are better kits for smaller prices but we have to bear in mind this kit is 10 years old and when it's finished it still is a beautiful beast to have in the collection. 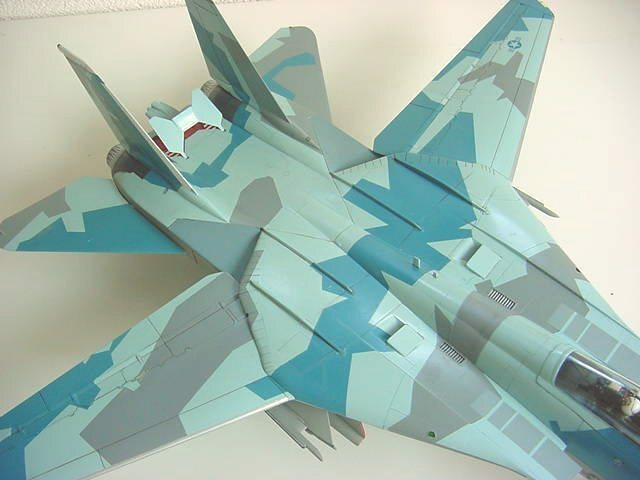 As always, I wanted to build something different..............so when I found the Splintered Tomcat decals from Twobobs I decided to built it. 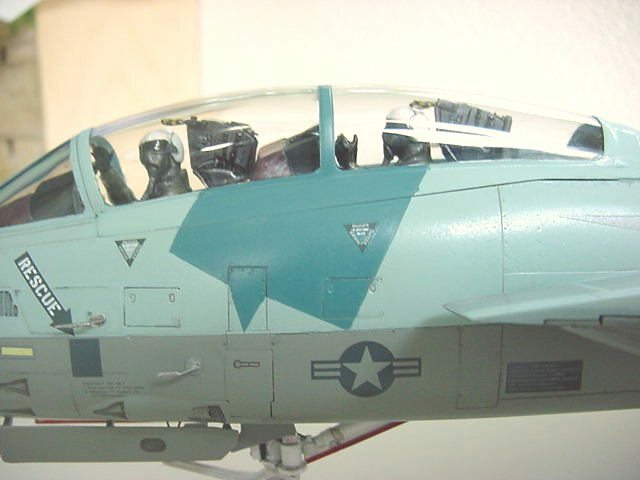 The building of the kit is just out of the box, I only changed the head positions of the pilots and added lots of details in and on the wheel bays and landing gears. 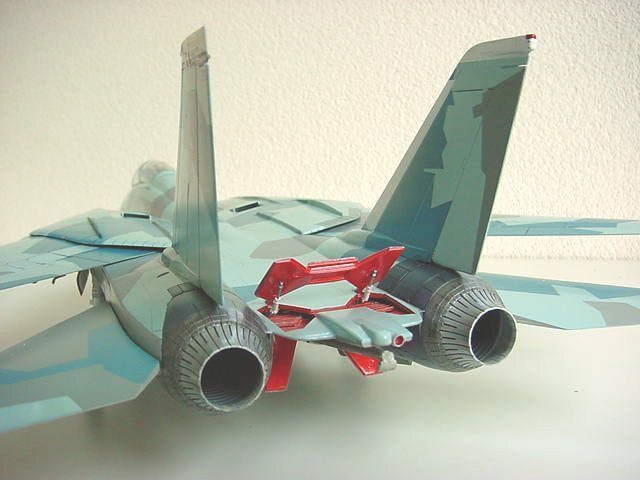 Paints used are all Tamiya spraycan colours !!! 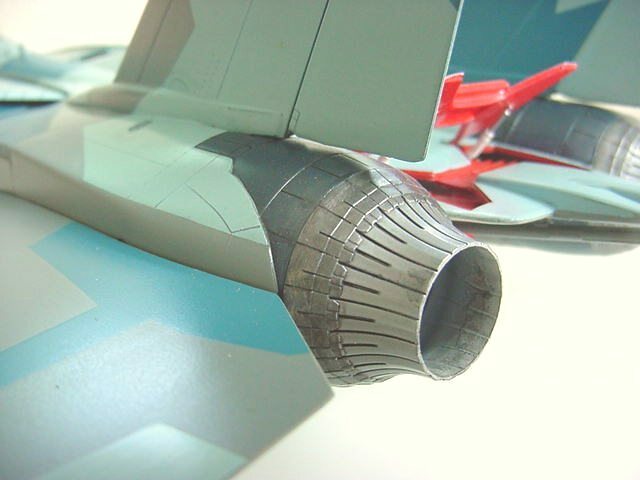 As there was lots of masking to be done in several colours I decided to use the AS and TS colours as they dry very very fast and are very easy to handle, after that the plane was weathered. The cream on this old cake are the Twobobs decals, absolutely.............SMASHING STUFF. It was the first time I used them and for sure not the last time. Once more.....compliments to guys from Twobobs.